There's nothing like sipping delicious, regional wines in the company of the winemaker herself. 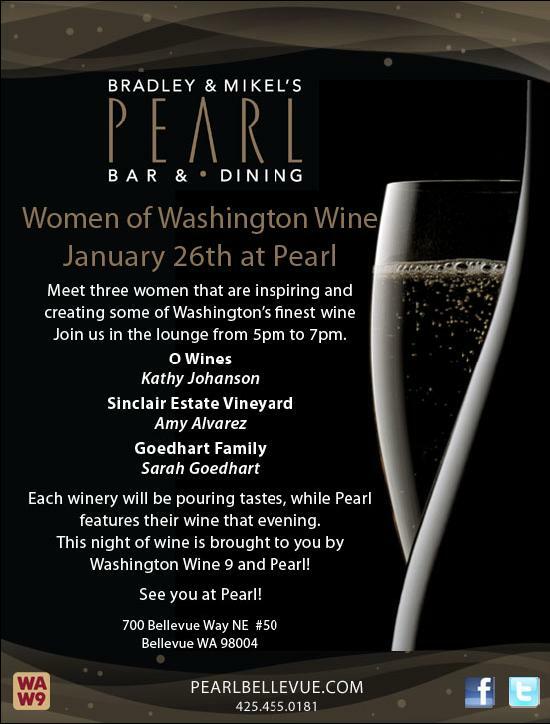 One special evening brings a trifecta you won't want to miss: O Wines' Kathy Johanson, Sinclair Estate Vineyards' Amy Alvarez, and Goedhart Family's Sarah Goedhart will grace Pearl's lounge for an inspiring evening of wine on Jan. 26 from 5-7 p.m. 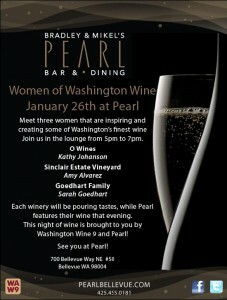 The evening is presented by Pearl and Washington Wine 9. See you there!